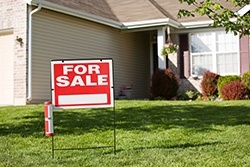 The purchase-only Housing Price Index (HPI) released by the Federal Housing Finance Agency (FHFA) showed a 1.4 percent increase in the fourth quarter of 2015 of the seasonally adjusted index, according to a news release by FHFA. This is the 18th consecutive quarterly increase for the index. Every state showed appreciation between the fourth quarter of 2014 and the fourth quarter of 2015. The greatest increase was in San Francisco, CA with a 20.7 percent increase, with the lowest in New Haven-Milford, CT, where they experienced only a 0.6 percent increase. The index uses information from the mortgages sold to, or guaranteed by, Fannie Mae and Freddie Mac over the past 41 years, using over seven million repeat sales transactions. Over the last year, the index showed house prices increased 6.7 percent. House prices the year before that rose 5.8 percent. The next index will be released March 22, 2016 and will be available on the FHFA website.